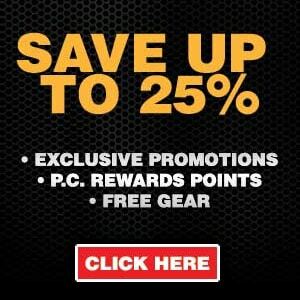 What Happens When I Switch To Amsoil Synthetic Oil? Because Amsoil synthetic motor oil generates less intrafluid friction than conventional oils do… engine bearings, transmissions and differentials rotate more freely. More Power: Less friction… translates into fuel savings. When friction is reduced, less energy is required to move the vehicle. The average increase in gas mileage of 4-6% and 6% boost in horsepower you may experience more or less. Synthetic oils clean as they go, removing sludge and deposits left by the previous oil. If Amsoil synthetic motor oil is installed in a particularly fouled engine without an Amsoil Engine Flush pre-treatment…sludge and debris… freed by the cleaning action of Amsoil… ends up in the oil filter. If you have a vehicle with over 50,000 miles on it (gasoline or diesel) I would STRONGLY suggest using Amsoil’s Engine Flush. Why? When adding Amsoil to an engine if there is sludge and debris present it will eventually remove it sending it to your oil filter. To prevent plugging your oil filter with sludge and debris…do a 15-minute engine flush and have peace of mind. Pour one can of the Amsoil Engine Flush where you add the oil into the engine. (For diesels that hold 10-12qts of oil…add 2 cans). Start up the engine and let run for 15 minutes…this will clean the crankcase, cylinder walls, pistons and rings. Then drain your oil and remove the oil filter. Install the new Amsoil synthetic oil and oil filter! Less prone to low temperature gelling. Amsoil synthetic oils allow engines…transmissions and differentials to operate easily in colder temperatures than conventional oils do. In fact… most Amsoil users find they no longer need block heaters for their engines! Why? Because Amsoils “Pour Point” is -40 below for their synthetic Diesel Oil and -50 below for their gas engine…transmission and differential oil. Oil sump temperatures may run as much as 20 degrees cooler with Amsoil than they do with conventional oils. Friction generates heat…and since Amsoil synthetic oils generate less intrafluid friction and wear than other oils do…they also generate less heat. Rigid…conventional oil molecules on the other hand…move heat along hot surfaces. The surface of the oil film gets overburdened with heat…while the core of the oil stream gets a free ride. It’s not an efficient system…because it keeps engine and drive train surfaces hotter than they would be with synthetics. 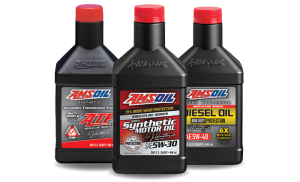 In May of 2000…at 68,250 miles on my 99 Chevy Van…I switched from petroleum oil to Amsoil synthetic oil. I went from changing my oil every 5,000 miles to every 25,000 miles. Since then… I’ve driven over 1.3 million miles changing my oil and filter every 25,000 miles. Estimated oil & fuel savings: Over $18,000. When you switch to Amsoil…most of you will only have to change your oil and filter once a year. The Signature Series oil is good for 25,000 miles or one year… which ever comes first. For those of you that drive 40-50,000 miles a year… you’re gonna love Amsoil. No more worrying about changing your oil 10 times a year. And if you’re away from home and you notice your oil needs changed…no need to worry. You can drive home and have your oil changed at the dealership or if you’re a do-it-your-selfer…like me…change it back at the garage. I’ve driven over my “oil change” many times…and have proven Amsoil will not let your engine down. Just be sure and check your engine oil level frequently. The Bottom Line Is…Amsoil Synthetic Oil…Gives Your Vehicles Engine And Drive Train…Better Performance…Longer Life And Dependability…And For You…A Fatter Wallet And Peace Of Mind!